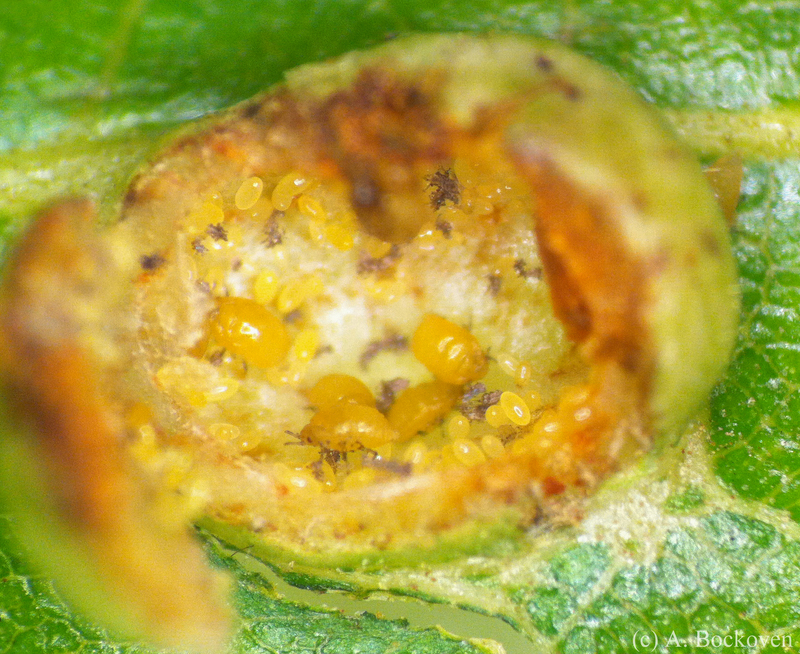 The remains of a parastized aphid ("mummy") complete with parasitoid escape hatch. 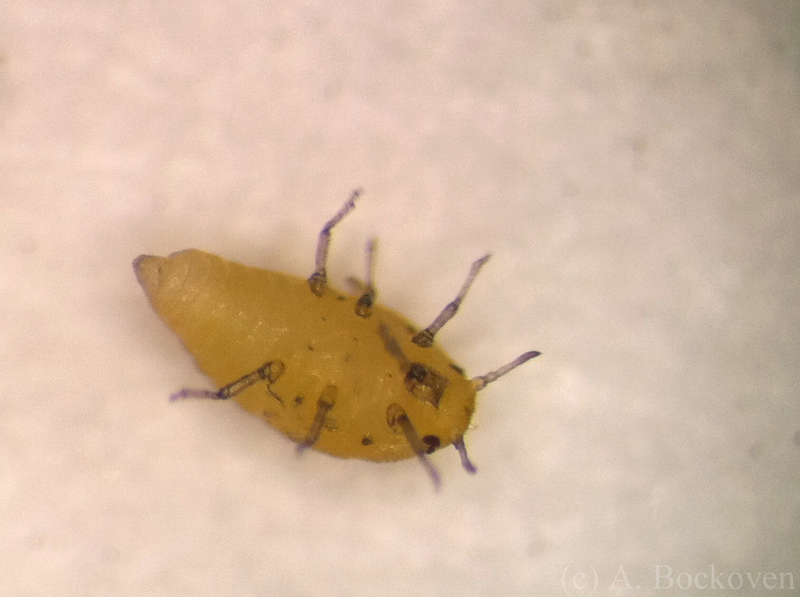 My labmate Collin found mummies in his aphid colony. It was kind of exciting, although maybe not up to horror movie standards. 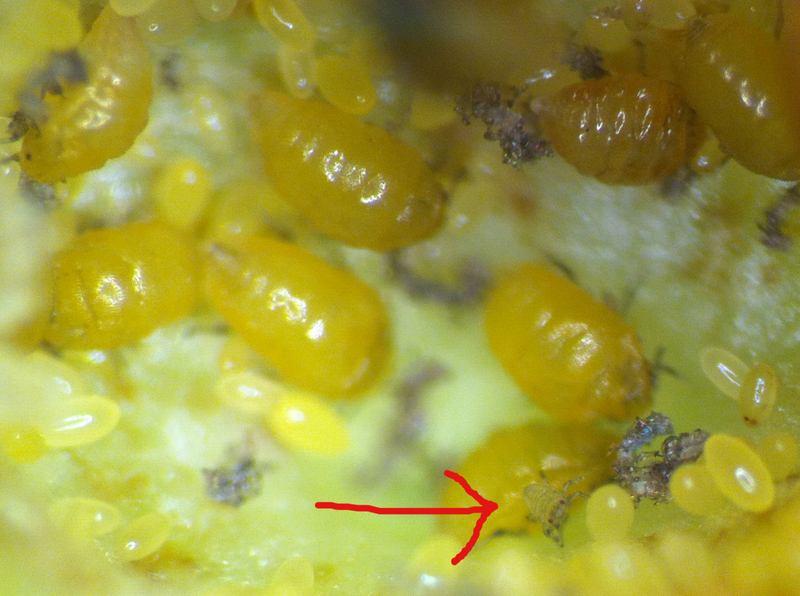 Mummies are what happen to aphids when a parasitic wasp injects them with an egg. 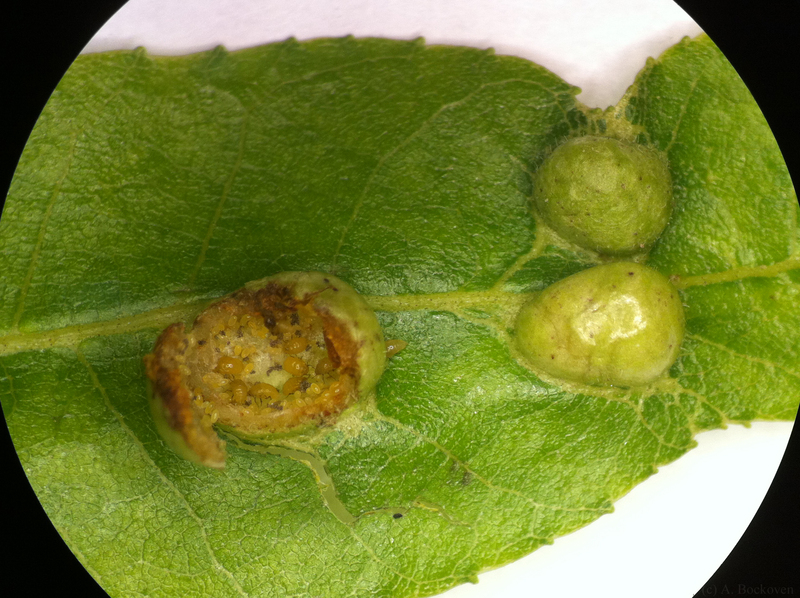 As the wasp larva grows inside their bodies, feeding on their hosts, the still living aphids swell into pale, bloated, unmoving forms on the leaf surface. Eventually, adult wasps burst from their hosts, leaving behind the kind of gruesome sight pictured above. 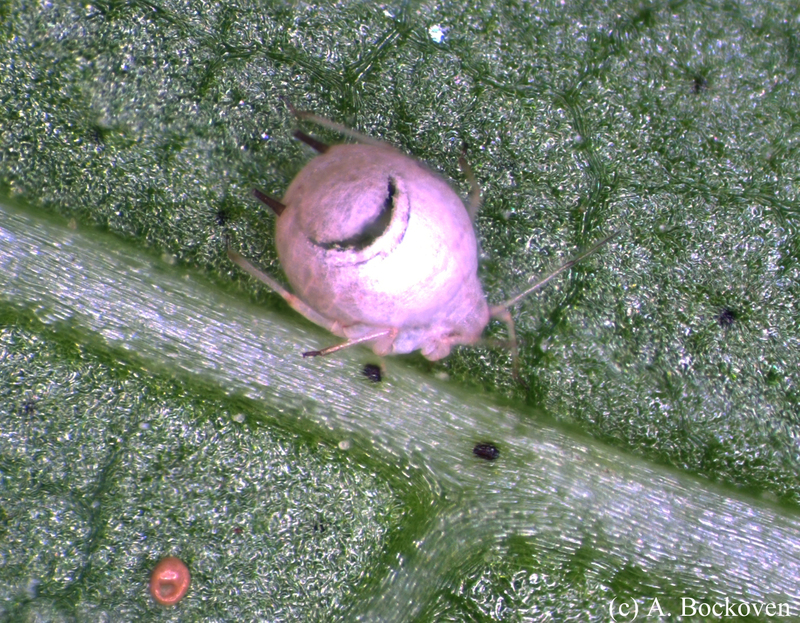 Close up of cotton aphid (Aphis gossypii) feeding on a cotton leaf. For comparative purposes, here are pictures of a healthy, live aphid, as well as the shed skin of an aphid following a molt. For a frame of reference these guys are about a millimeter or two long. 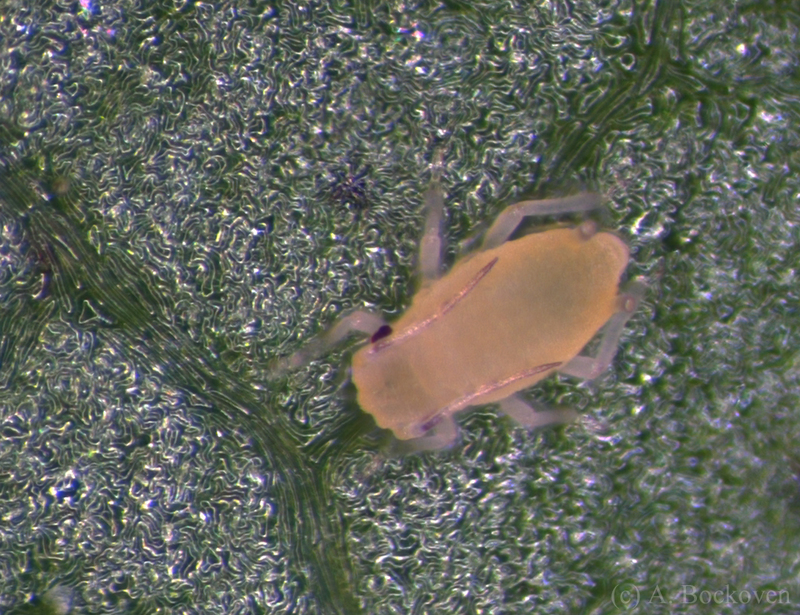 Cotton aphid exuvia (cast off exoskelton) on a cotton leaf. Special thanks to Collin McMichael for helping me with the digital microscope photography. And thanks also to someone who featured a how to on manual focus stacking in photoshop a while back. 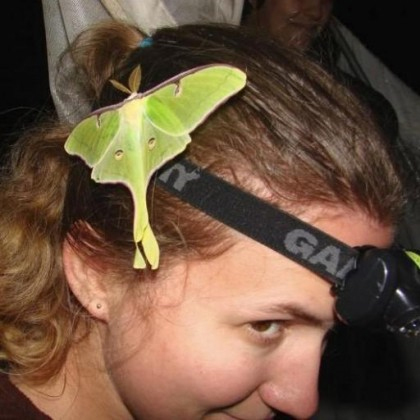 I cannot find this post again for the life of me. 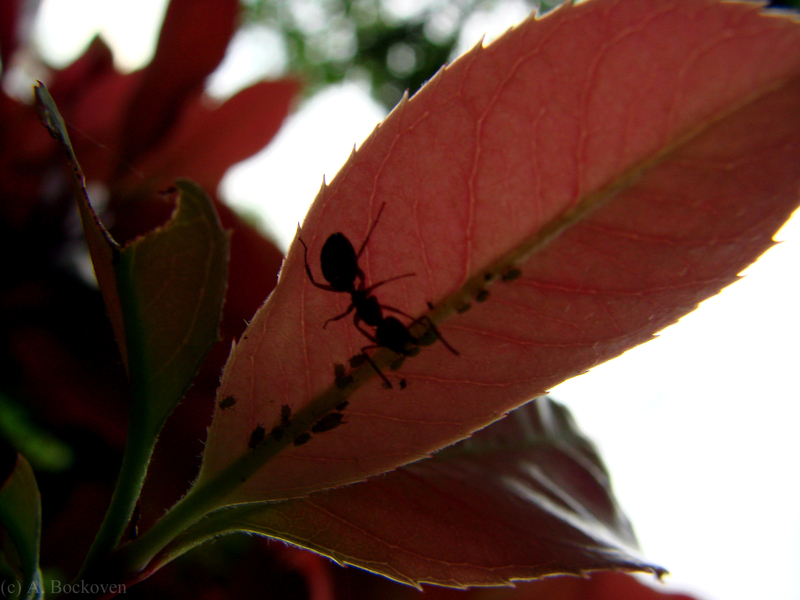 There was a picture of an ant with a parasitoid I think. It was awesome. I have been wanting to try this technique for a while, so it was fun to experiment. I should probably get a shot with the legs in better focus in the future. 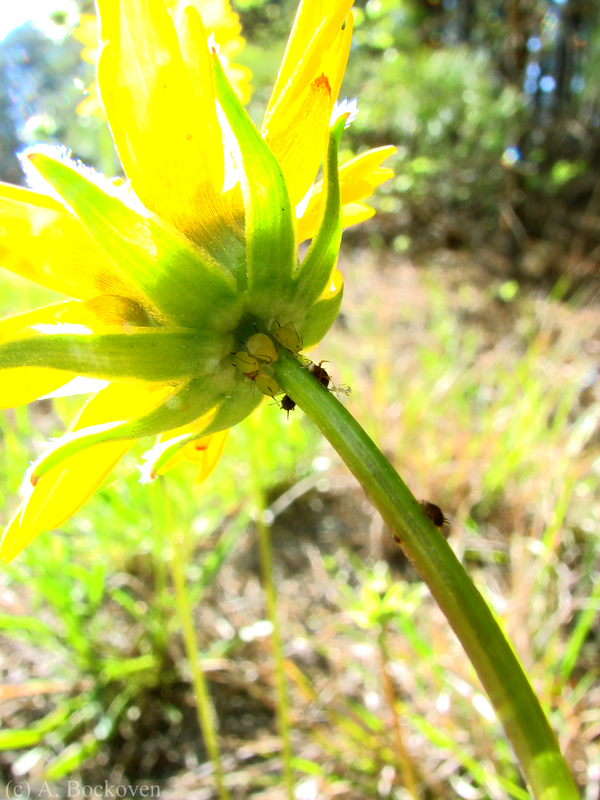 Aphids nestle under the base of a flower in Sam Houston National Forest. Anyone who has spent much time around plants will be familiar with this classic gardener’s pest, the aphid. 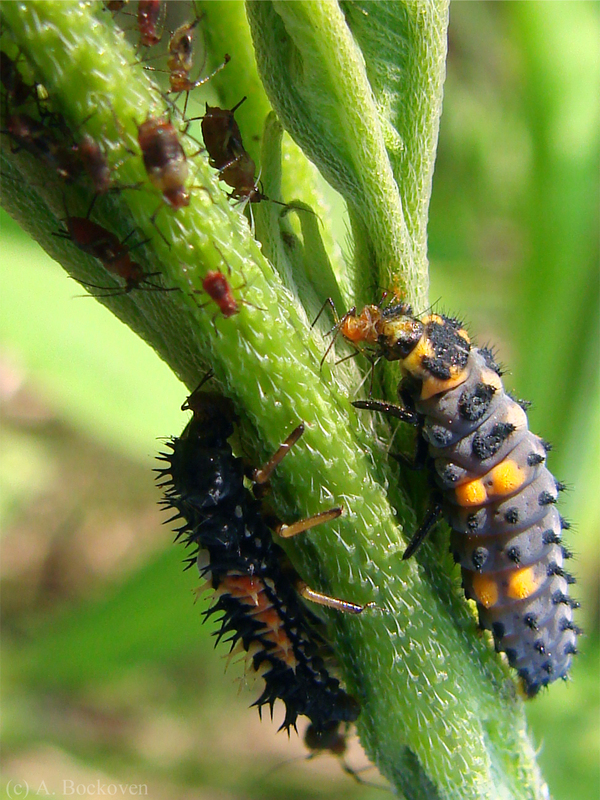 Aphids use their piercing-sucking mouthparts (a characteristic of the order Hemiptera) to drink the fluids of plants. Fluid uptake occurs passively via the pressure generated by the plant’s own circulatory system. 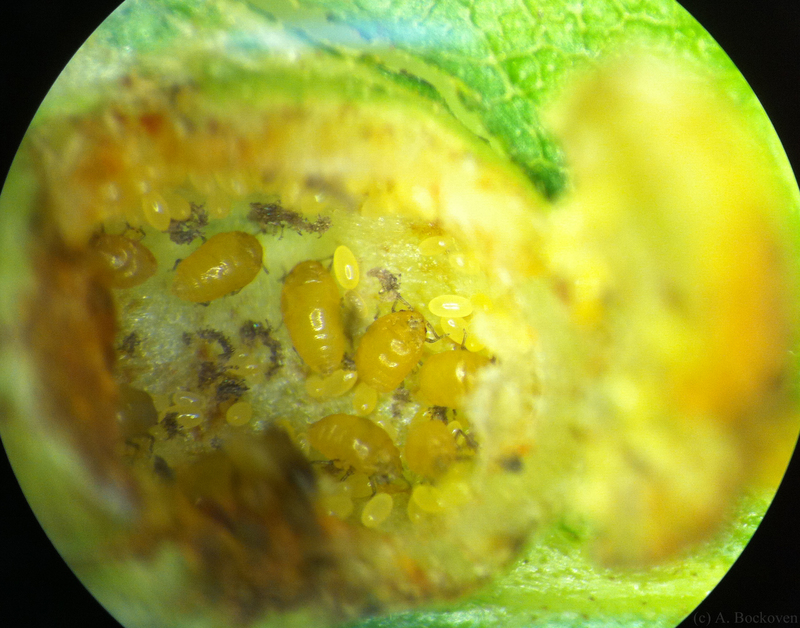 In fact, the aphid’s mouthparts actually contain valves to limit the flow. Without such systems the aphid would literally be blown off the plant. It is more the equivalent of attempting to drink from a firehose than sucking from a straw. 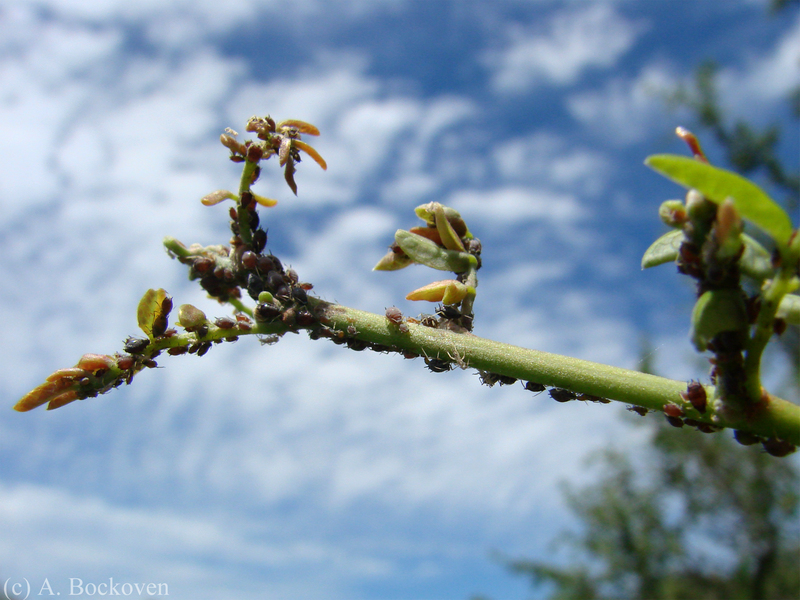 Aphids are gregarious insects which live in small subsocial colonies on plants. 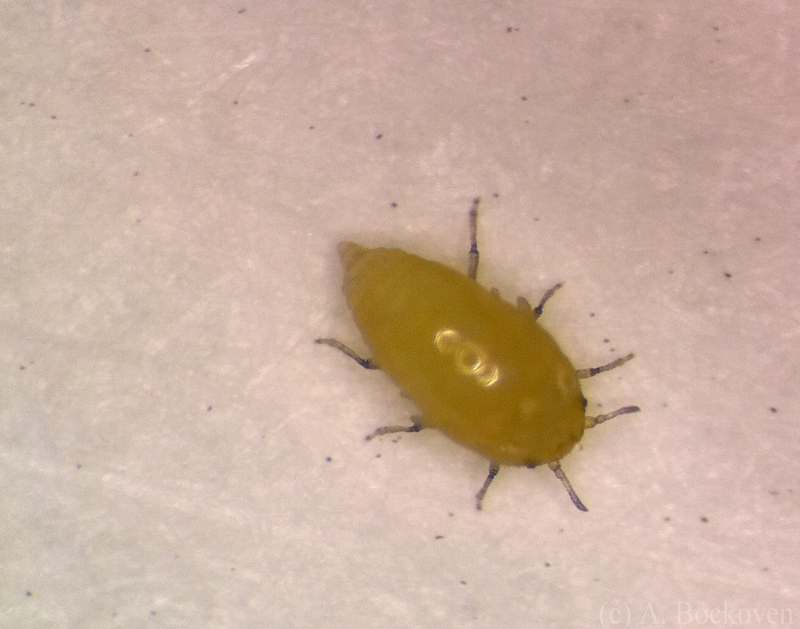 Reproduction varies among aphid species and may be sexual or asexual. 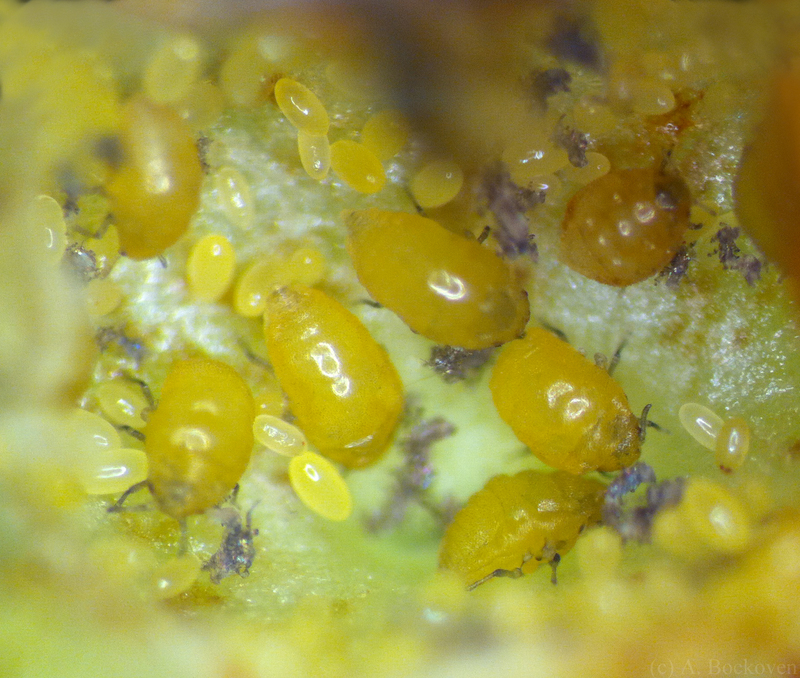 Many aphid species give live birth to young. 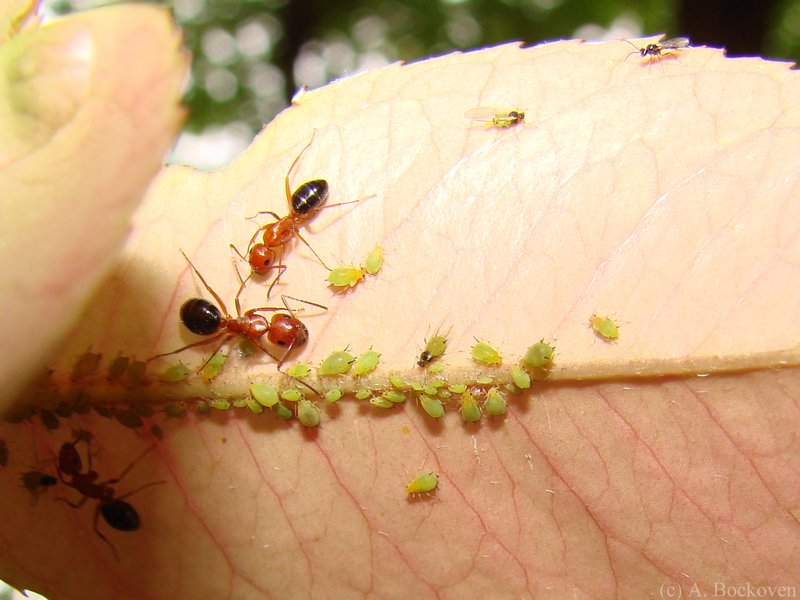 In the picture above and below, a few white and shriveled cast off exoskeletons are visible from developing aphids. 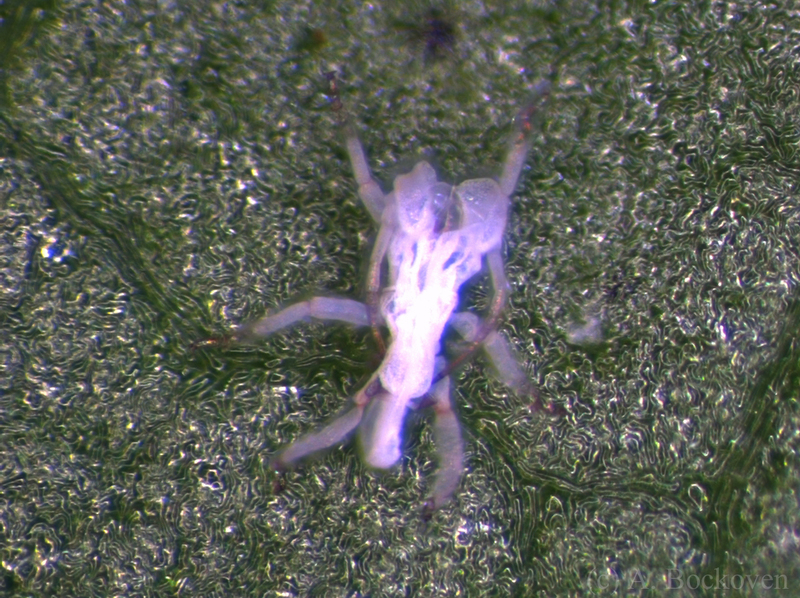 These skins, called exuvia, can become quite numerous as colonies grow and become crowded. Overcrowding on plants generally triggers the production of winged aphids, which disperse to new host plants where they found new colonies. 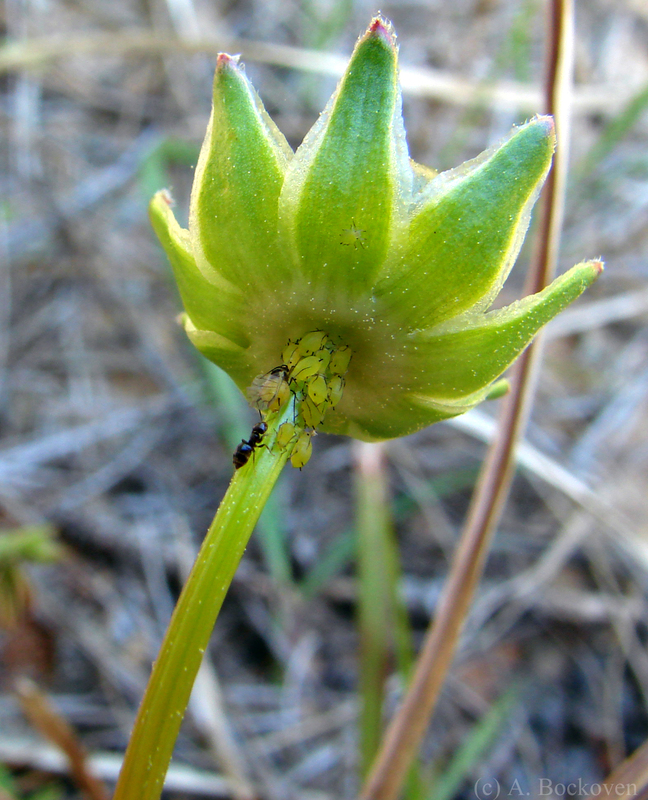 Aphids coat a plant stem in Argentina.